Secret Life of Walter Mitty with Ben Stiller is one big disappointing affair. The promise of a new Forrest Gump type movie is preposterous. Apart from the beautiful scenes and sequences full of special effects it is lacking the good combination of humour and drama that made that movie so excellent. You can sense that the intention is there but that they never seem to get to realize it. For that it is lacking characterization and depth. 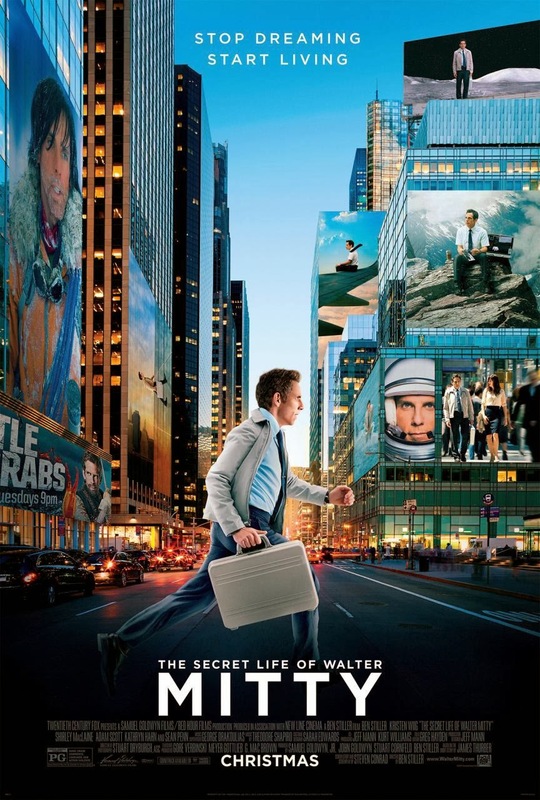 Walter Mitty is supposed to find something inside him. And of course he finds it. But was it convincing? No, not really. He is only less clueless than he was in the beginning. His Walter Mitty is not tragic enough. If he had been then everything he was going through truly would have been more of a thrill ride. Sort of. I personally was not that impressed by his real adventures. Other than nice scenery’s there is not much to them. Sean Penn does impress for the few minutes he is on screen. But was he really iconic? That is debatable. There are hints he is this deep and insightful character. Only that does not really come across. The hugest flaw I found the pacing. It takes forever for events to occur. And when they happen there is barely anything to them. By the time you understand where the makers were going for you lost interest long before there fore missing the point. Overall I thought Secret Life wasn’t that bad but I sure expected so much more from it. Mrs. P. is less forgiving. She found this movie to be really bad and a waste of time. If not for the company, namely me, she would not have been able to stomach it. So you have been warned.